The following endorsements were done through discussions with The Cord’s editorial board (12 in favour, 2 abstentions). These are not necessarily a reflection of WLUSP, The Cord’s volunteers or staff. After a lengthy discussion, The Cord has chosen to endorse Ali Saghari for Students’ Union president. That being said, it was important for us to identify the pros and cons of each prospective candidate, which allowed for us to eliminate the candidates that we felt didn’t make the best use of their platforms and/or the campaign processes at large. Generally speaking, all candidates bring something interesting to the table. Tarique Plummer’s ambitious and clearly accessible platform/ideas show a strong connection to the student body and other stakeholders. Idris Omar Hassan’s previous experience working with the federal and provincial governments brings forth valuable policy-based knowledge. Ryley Fletcher’s visibility, campaigning efforts and research efforts have showcased his wide scope of consideration and connection to Laurier students. Finally, Ali Saghari’s experience as president of the Arts Undergraduate Society (AUS) and his cross-campus experiences as a student would provide a unique and valuable perspective to the Students’ Union. 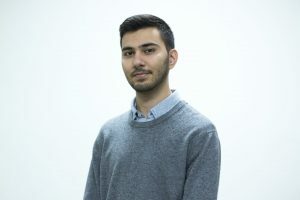 Saghari, through his platform, provided ideas that were both practical and beneficial to undergrad students, including an updated, electronic reimbursement form for clubs, a proposed bus route from Brantford to Cambridge and bimonthly town hall meetings on both campuses, among others. The objectives that he advocates for are relevant to students today and because of the feasibility of the initiatives he hopes to work on, he will be able to allow current students to reap the benefits of his work. Having completed a year as president of the AUS, Saghari also brings a perspective to the table that is fresh but familiar. While at AUS, Saghari made good on many of his campaign promises, including increased communication via a monthly newsletter. While the clarity and soundness of one’s platform served to be a major deciding factor for a number of us, that is not to say we didn’t consider a number of other things, platform-specific or otherwise. Our team scrutinized platforms for consistency, attention to detail and clarity of ideas, but we also paid close attention to how candidates responded on their feet at both Open Forums as well as the Presidential Debates. Saghari made a strong impression while answering questions through his preparedness and genuine responses. 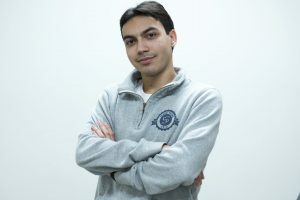 When faced with his own flaws or potential shortcomings as someone with little to no board experience, Saghari proved to be both transparent and honest in his answers. While Saghari has proved to be the strongest candidate for a number of reasons, his noted lack of visibility was something that we suggest for him to improve upon. While he has strong ideas and an obvious passion to lead students, he is encouraged to find a stronger voice and to use his experiences as AUS president to inform his demeanor in building relationships throughout the Students’ Union. With all this in mind and careful consideration, we believe, the strengths that Ali Saghari brings to the table as a leader make him the strongest candidate for the job. Adam Kovacs is visible, to say the least. He has been at each of the elections-related events and has even attended board meetings as of late. His passion and experience in the previous year as a member of the board of governors means that he is one of the few candidates that will be returning with some Students’ Union experience, albeit not from the board of directors. Notable throughout his campaign efforts has been his sense of passion and pride for the Laurier student community. Though much of his campaigning has been anchored by political slogans and the like, his platform contains tangible and realistic goals, while also showing that he has done his research and has at least a limited understanding of the problems that have impacted the board of directors this year. Though he did not show a direct interest in the position of chair — a completely fresh group of candidates has refrained from expressing interest — his passion, demeanor and overall enthusiasm would be helpful in facilitating dialogue, a primary function of the role of chair and CGO. It is clear that Kovacs is someone who has paid attention to the work that the board of directors does, and for that reason — combined with his experience on the Board of Governors — Kovacs is one of the only candidates who stands out as a potentially successful chair. Another candidate for Board of Directors that showed high visibility and a commitment to the campaigning process was Owen Bourrie. Through his platform, Bourrie made a number of relevant claims and observations, even noting the importance of accountability on the board. He also specifically noted the need for better mental health services in non-emergency scenarios as well as improved Wi-fi access on campus, both of which are tangible and realistic to address over the course of the year. In addition to these aspects of his platform, Bourrie also spoke to some long-term goals, including increased access to the writing centre and more permanent study spaces on campus. 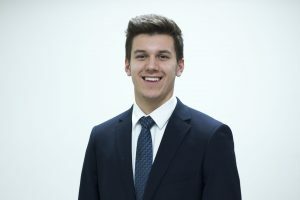 Though he didn’t express interest in chair or vice-chair of the Board of Directors, Bourrie stands out to us as one of the more well-researched and prepared candidates for the board of directors. 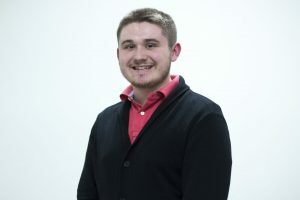 This impression, coupled with some of the more practical and realistic goals outlined in his platform, allowed us to instill more faith in Bourrie than some of the other candidates who are also lacking previous board experience. At the end of the day, Bourrie, like Kovacs, took advantage of speaking opportunities presented to him via both Brantford and Waterloo’s Open Forums. Christopher Donnelly is not unlike the other 12 candidates for the board of directors in that he has little-to-no previous experience with the Board. While his platform does not outline specific, tangible initiatives, his composure at the Waterloo Open Forum, including his ability to answer questions with relevant, concise information, are what set him apart from others speaking at the Open Forum. Donnelly’s answers were passionate, well researched and vied for continued accountability within the Students’ Union — all of which showed an understanding of the role that the Board of Directors plays within the Students’ Union. At both Brantford and Waterloo’s Open Forums, Shukan Shah stood out as an eager but passionate first-year student with room for growth. While it is not imperative for all candidates to attend the Open Forums, it speaks volumes of those have made the effort — even in sending representatives. Shah was one of the few candidates that took advantage of the transportation options provided to make himself visible to students on both campuses. Additionally, Shah — like Kovacs, Bourrie and a small number of other candidates — attended at least one board meeting prior to the commencement of the campaign process. 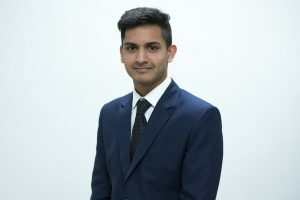 While Shah, along with the other 12 candidates, has a lot of learning to do with respect to board policy, his eagerness and willingness to learn both help to quell some concerns students may have over lack of experience with the board. Previously, The Cord has abstained from endorsing senators or board of governor members for a few reasons, including a lack of information. Having read platforms and heard candidates speak at the Open Forum, we will continue this year with our decision to abstain from endorsing senators and board of governors members as we feel we do not have enough information to make an informed decision on who might be a preferred candidate.